I recently purchased plans for corner pergola. I cannot find where it was downloaded to and would be grateful if you could help me. I cannot see a 'button' to open it. This is the same process for all of the 'Additional Plans Series'. Check your junk/spam folders carefully. I can check to see if the sale has gone through, if necessary. If it hasn't, you won't have been charged! Click on the 'Add To Cart' button below the picture of the plans. This will take you to the page where you can checkout. Click checkout and pay, through Paypal, with either your card, or with Paypal itself. When this is done, you will receive a 'Thank You' email containing the download link. View the file and then save it to your computer. Watch the video to find out how to find the download link and then save the plans to your computer. It may look different depending on the browser that you use, but it's essentially the same process. All the additional plans are downloaded in this way. If you have any further problems, do please get in touch and we'll sort it out. Hopefully everything will come through fine. I am having trouble accessing the pergola plans. 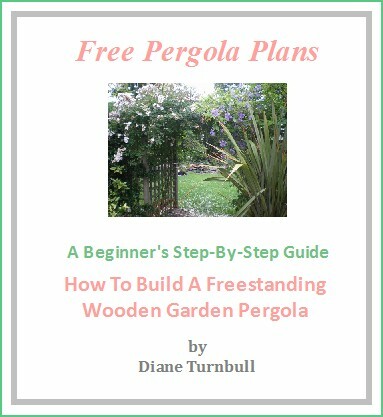 Let's take a look at how to access the Free Pergola Plans. 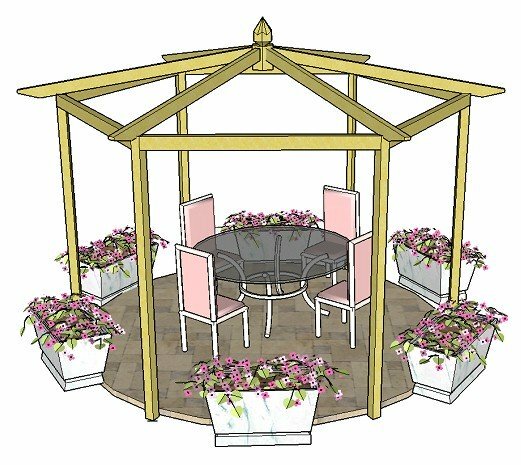 What are the Free Pergola Plans? The free pergola plans are a series of plans intended to enable everyone to be able to build a square or rectangular pergola of any size or style. These plans are free, as are the rafter tail templates, and all are packaged together, so you will have access to all of them through the same link. 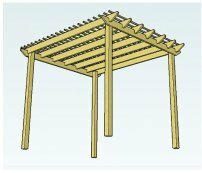 It's possible to make any standard pergola, of any size, with both the main pergola plans and the two simple pergola plans, which are a little more specific in style, but requiring minimal cutting and notching. 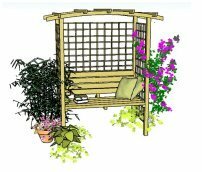 Included is a good selection of rafter tail templates, and plans for raised bed planters to stand at the base of your pergola. For more detail about all of these plans, take a look at the left navigation bar under the heading 'Free Plans' and each will explain the different options in detail. Choose all or any specific ones you want to view and save from the download page. Raised Bed Plans to use as a simple pergola planter. 'Love Gardening! ', ezine publication, which keeps you informed of offers and exclusive voucher codes on a whole range of gardening products, updates to the website, hints and tips on gardening, landscaping, garden design and makeovers, planting...in fact, all things to make our gardens fantastic places to relax and unwind! Fill in your name and email address carefully, hit the 'Subscribe' button, which will take you to the 'Thank You' page. Within a few minutes, you will receive an email asking you to confirm your subscription to 'Love Gardening!'. This will give you access to the free plans. Click on the link. This will tell me that it was indeed you who filled in your details (this is good practice, and is done to protect both of us). You will then see a 'Thank You for Your Subscription' page. Please check in both your spam and junk folder. Whitelist www.pergolaplans4free.co.uk in your email manager. If you are still unable to access the plans, please contact me and I will try to reply as soon as possible. The page will ask you to put in your password. Enter the password shown in the 'Thank You' email. Links to detailed information for each plan (Read more...). The Download link in bold, blue letters. A link to the materials list for that particular pergola. 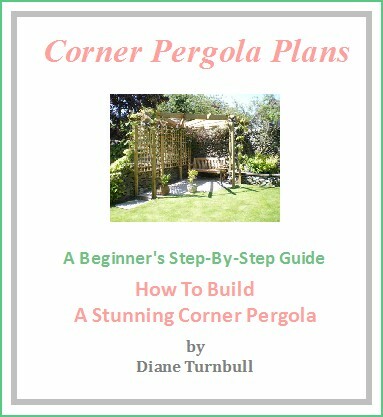 This cover shows the main pergola plans. All of the other free plans are accessed through the same download link contained in your email. Each will have a cover with a blue download link underneath (as shown below). Click on either the cover or the blue Download to access the plans. Both will take you to each individual plan.